Joseph brings a message of positivity and self improvement. The content ranges from hypnosis to personal coaching and psychology. If you are in a rough spot or just looking to upgrade your mindset give him a listen. Thanks Joseph! I have struggled for years with sleep issues; falling asleep or staying asleep. This app by JC is amazing! 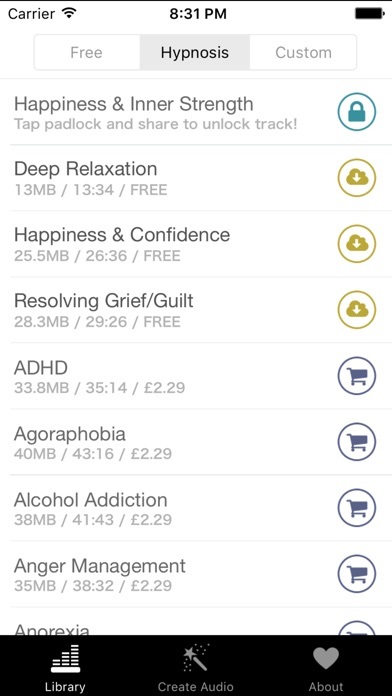 So far I have used the sleep, motivation, energy, calming and happiness tracks. I have felt so much better lately in all of these areas since using these apps. Highly recommend. 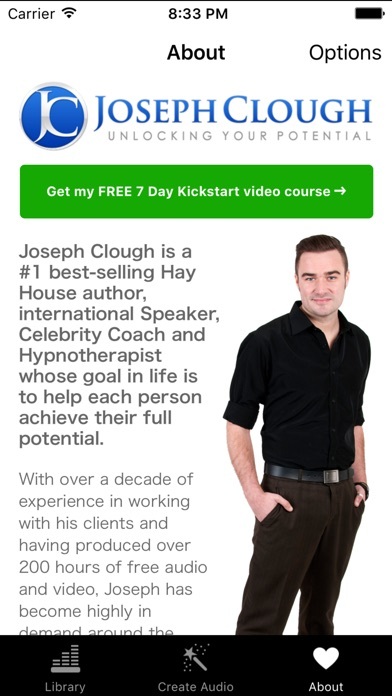 This free hypnosis session really has helped me to overcome my chronic insomnia! I am able to relax and sleep soundly! What a blessing! New listener and I’m hooked! Always have trouble sleeping, this was awesome! Can’t wait to listen to many many more episodes! Thank you so much!! I am using this to improve my tactical performance. It has improved my performance immensely. I am a member of a tactical team and I shoot competitively. I would highly recommend his book-“Be Your Potential”. I enjoyed the first one I listened to, but at the end the music just trailed off. Do you not bring us back? I sat there for minutes in the trance until someone knocked on the door and shocked me back to reality. 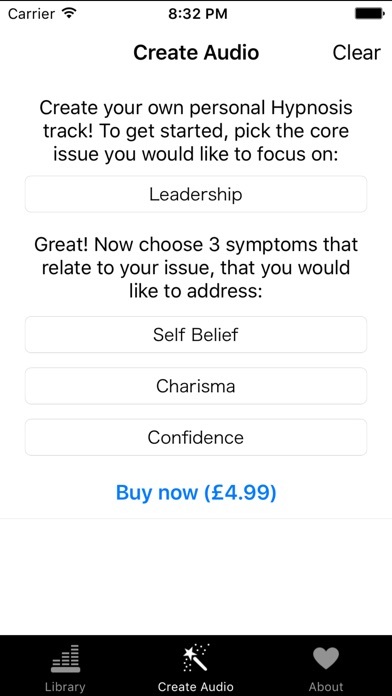 For some reason, most of the hypnotherapy apps and tapes have people doing them who do NOT have very nice or relaxing voices. I found this one to be one of the better ones. I also like that I can purchase only the sessions on topics that I am interested in, instead of a package deal. I have been using this app for about 6 years. I have tried many others over time and always come back to Joseph’s. I personally find his material and techniques much more beneficial than any other app out there. The first hypnosis session I was out within 2-3 minutes. Still to this day I do not make it through many of them, which is the point to fall into a deep slumber to work on the subconscious mind. Thank you for all of your work and helping people like myself!!! !